All screeings start at 7 pm and are free of charge. A haunting non-fiction elegy about the threat of the apocalypse, Michael Madsen’s "Into Eternity" ponders the future of nuclear waste and explorers the horrors of anticipating an unpredictable future. 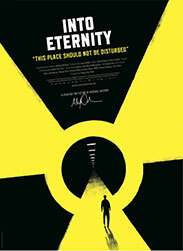 Into Eternity is an unique art work that deeply explores the mind-boggling scientific and philosophical questions long-term nuclear waste storage poses. Structured as a message to future generations, the piece focuses on the Onkalo waste repository now under construction in Finland, one of the first underground storage facilities. Onkalo is a gigantic network of tunnels being carved out of bedrock that will start receiving Finland’s nuclear waste in 2020. Once the repository is full, in about 100 years, it will be closed and hopefully remain sealed for at least 100,000 years. Into Eternity takes viewers deep into the Onkalo facility as it is being constructed and asks Onkalo representatives, scientists, theologians and others to address fundamental but challenging questions. How can our civilization know what the world will be like in 100,000 years? The first modern homo sapiens appeared about that long ago and no human structure has survived more than 5000 years. How can we anticipate climate and geologic changes that far in the future? What will life on our planet be like then? How do we warn distant generations of the deadly waste our civilization left behind? What languages or signs will they understand? How do we prevent them from thinking they have located the pyramids of our time or some other treasures? 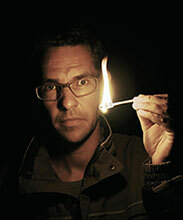 With its stark, stylistic approach, the video work Into Eternity by the Danish artist Michael Madsen not only raises questions about the possibility of long-term nuclear waste storage, but also invites reflection on the limits of science and human knowledge, along with our responsibility to future generations. Michael Madsen. Born 1971 - conceptual artist and film director founder and artistic leader of the Sound/Gallery, a 900 square meter sound diffusion system underneath the Town Hall Square in Copenhagen, Denmark (1996-2001). Madsen has been guest lecturer at The Royal Danish Academy of Art, The Danish Film School, and The Danish School of Design. As film director he realized various documentaries among others the Award-winning ‘To Damascus – a Film on Interpretation’ (2005). Selected art projects include: Audience (van Gogh#7), design of SPOR 2007, festival for new music and sound art; and Public Service (van Gogh#6) Phase 1: Idea and concept for a new music library in Odense, Denmark. Mojca Kumerdej is a writer, philosopher and art critic. In 2001, Študentska založba published her first book, the novel Baptism Above Triglav (Krst nad Triglavom), in which she ironically explores Slovenian stereotypes and national mythology; in 2003, her book of short prose Fragma was published in the Beletrina series, and in 2011 her collection of short prose Dark Matter (Temna snov). Her literature has been translated into several foreigh languages. She has appeared at the Frankfurt Book Fair, in Moscow, St Petersburg, and at the International Book Fair in Guadalajara (Mexico); she has made guest appearances at book fairs in Prague, Leipzig, Buenos Aires and in Hungary. In 2006, she received the Crystal Vilenica award for her short story Below Surface (Pod gladino) at the Vilenica International Literary Festival. Her work Fragma has been interpreted in theatre, in the dance-theatrical performance by Sonja Ožbolt, and in graduation-TV dramas by the students of film directing at the Academy of Theatre, Radio, Film and Television, for which the students received the Academy’s Prešernova Awards. Director of Photography: Heikki Färm F.S.C.